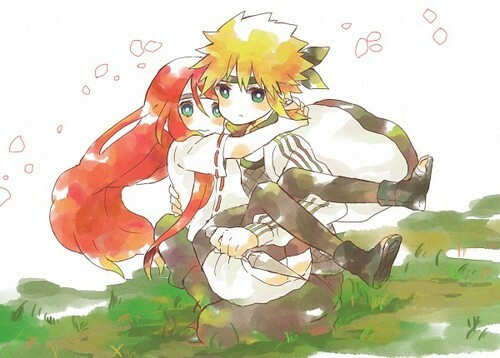 Minato X Kushina <3. . Wallpaper and background images in the Minato Namikaze club tagged: minato namikaze yondaime kushina naruto. This Minato Namikaze fan art might contain bouquet, corsage, posy, nosegay, camellia, and camelia. I also got this one! !